Memorial Hermann Medical Group (MHMG) The Woodlands Endocrinology combines skilled professionals and state-of-the-art technology to deliver highest-quality, patient-centered endocrinology services to patients who live and work in and near The Woodlands. We provide the most up-to-date management of a wide variety of conditions, but the heart of our practice is caring and empathetic relationships with patients based on two-way communication and trust. Our highly experienced staff treats conditions that affect the endocrine system – the hormone-producing glands that regulate metabolism, growth, tissue function, reproduction and sexual function, sleep and moods – including metabolic dysfunction and diseases of the ovaries, pituitary, adrenal glands and thyroid. 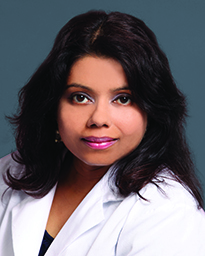 Dr. Annie K. Thomas earned her medical degree from the Bangalore University Faculty of Medicine and completed her residency in internal medicine at Englewood Hospital and Medical Center in New Jersey. She received her endocrinology subspecialty training at Louisiana State University Medical Center. Board certified in endocrinology, diabetes and metabolism, Dr. Thomas sees patients 18 and older. Her special clinical interests include interests in diabetes, thyroid, parathyroid, dyslipidemia, osteoporosis, ovarian and testicular disorders. Dr. Navneet Kainth is an endocrinologist serving patients 18 years and older. 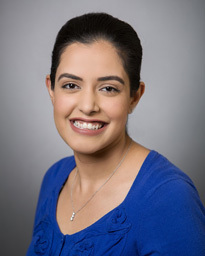 A Rice University graduate, Dr. Kainth earned her medical degree at the University of Texas Health Science Center at San Antonio. She went on to complete her residency in Internal Medicine and fellowship in Endocrinology at the University of Texas Health Science Center at San Antonio, as well. She chose to pursue medicine and specifically Endocrinology to help others, with a focus on prevention and education, providing patients a clear understanding of their condition and treatment options. Memorial Hermann Medical Group The Woodlands Endocrinology is conveniently located on Pinecroft Dr. at Medical Plaza Dr. right across the street from Memorial Hermann The Woodlands Hospital, just west of the North Freeway (I-45) and south of Research Forest Dr.
Memorial Hermann Medical Group Endocrinology The Woodlands is conveniently located on Pinecroft Dr. at Medical Plaza Dr. right across the street from Memorial Hermann The Woodlands Hospital, just west of the North Freeway (I-45) and south of Research Forest Dr. Surface lot parking is available at the location.